As the temperatures start to dip, photographers’ minds tend to wander off in a couple different directions. One is with the elk rut that occurs throughout the western part of the country. Another can be found at a variety of spots in the east, north and west. This is where a palate of colors awaits with a blanket of trees spread across hillsides in varying colors as fall is reaching its peak. 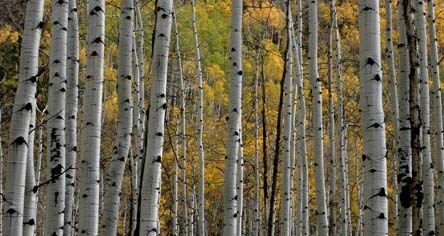 There are many quintessential images that come to mind when fall color photos are thought of. Most any shot from around Maroon Lake with the Maroon Bells in the background; laying on the ground and shooting straight up with a nice blue sky above a mix of colorful leaves and tree trunks; close-ups of backlit leaves; a tight shot of a mix of colors such as reds, yellows, rust and more; from the vantage point of using Oxbow Bend with the Teton Range in the background from Grand Teton National Park, a quaint church surrounded by a swath of color in New England or a creek or river with an array of color cascading beside it in Maine. To get the most out of a fall color trip, there are a few tips to enhance these colors to help create some amazing photos. 1. Use light to your advantage: Everyone know that light is the key element when it comes to photography. Thus, it’s necessary to consider light when trying to maximize color when shooting fall foliage. The golden light of early morning and late evening work best but don’t be afraid to shoot midday. Backlit trees can produce a lot of color. Think tight when shooting during this time of day and watch for harsh, flat conditions. Don’t be afraid to shoot in overcast weather, just be careful not to include too much sky in your scenic shots. Some photographers believe an overcast sky is the ideal lighting condition. The pluses for this is that it produces soft, uniform illumination and direct light can be harsh and create high contrast. Then again, a nich blue sky with a few clouds interspersed can't be beat. 2. Try different perspectives: Use a variety of focal lengths. There are many ways to showcase autumn so don’t lock yourself into one approach. Shoot both wide-angle and telephoto. The wide-angle does a great job of showing the larger landscape and the color within its environment. It gives the viewer a better understanding of the whole scene. On the other hand, the telephoto is great for isolating smaller details against contrasting textures. Both give a completely different feel to the mood but are equally effective. Too often we see the same type of fall photography. 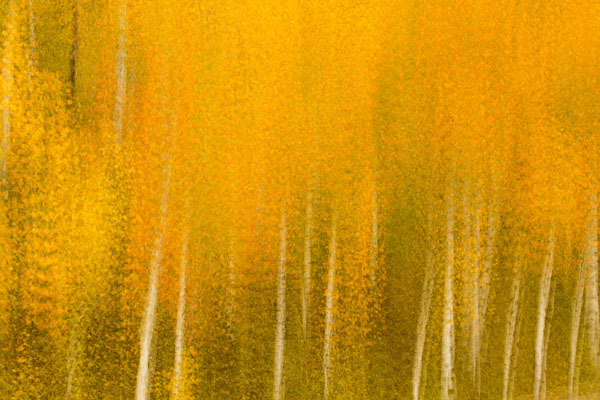 The image of a fallen leaf on the ground, a forest of aspens, or the combination of several colors along a backcountry road are nice but can be cliché. Challenge yourself to step out of the box and come up with something completely new. Creativity is what will set your photography above others. Look for a different angle than others have taken or try a verical of an important piece where others are shooting a horizontal of the whole scene. Look for different ways to portray fall color. 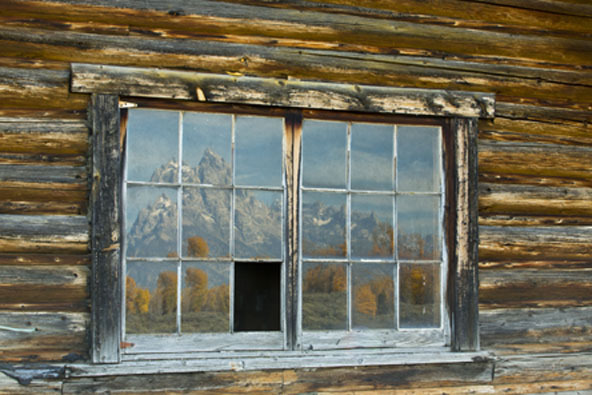 Here, some trees and mountains are reflected in an old cabin window. 3. Shoot with a polarizer: Using a polarizer can add immediate impact to your image as it can help maximize color. The polarizer deepens the color of blue skies, provides more saturated colors, and reduces glare and reflections in bright or sunny conditions as well as on waxy leaves when doing closer work. A polarizer will also help take any glare off of water when doing reflections. Be careful, though, as turning a circular polarizer too far can remove the reflected trees totally from the image or make . 4. Shoot reflections in water for visual design: Shoot trees color reflected in water to create abstracts. These work best early or late on a sunny day. Experiment with white balance until you find a setting that optimizes the colors yet retains some of the blues of the water as well. Try the Daylight setting (about 5500K) to get the right look. A polarizer can make the reflections pop, but avoid full polarization, which removes reflections. 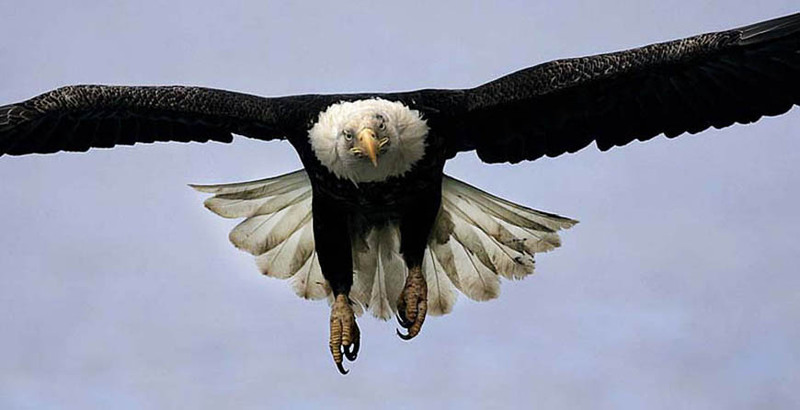 A telephoto zoom works best to create tight-cropped images. When working with moving water, consider using longer shutter speeds to create motion blur; a half-second or longer will produce an impressionistic look, swirling colors and creating a silky look in the water. A fast shutter speed will freeze any ripples in the water and produce an interesting effect. 5. 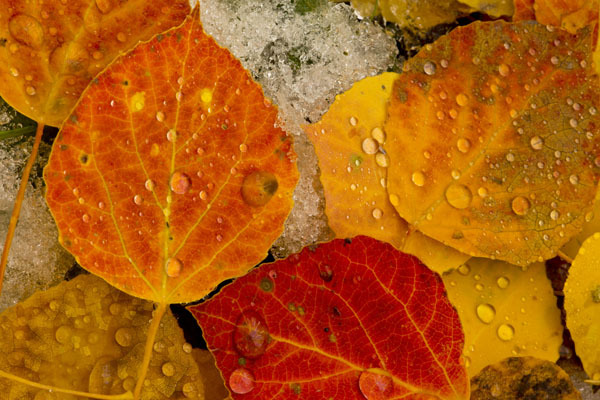 Shoot fall colors after a rain or snow: Although not mentioned much in tips about fall photography, I have found nice images right after a rainstorm. The reasoning behind this is simple – the wet leaves are at their most vivid and the addition of rain adds another element to the image. Remember to combine this with a polarizer to reduce glare and reflection. 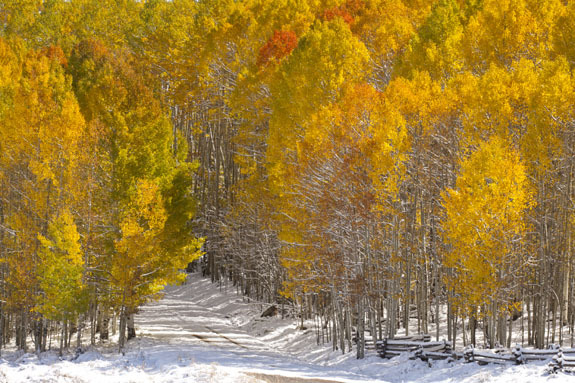 For larger vistas, nothing beats the contrast of fresh white snow on the ground combining with the colors of autumn and possible s crisp blue sky. This adds a whole new dimension to a shoot. Whenever having a bit of white in a shot, have the histogram reach just into the last highlights section on the right side of the graph so the whites do not get clipped and there is a bit of detail with definition to work with. 6. Use RGB Histogram: When photographing autumn foliage, one or more of the individual color channels (red, green or blue) may be clipped and lacking in detail. Bright yellow may clip the blue channel, bright red may clip the red channel, and so on. By checking the RGB histograms, you'll see whether any channels are clipped and adjust as necessary. Adjustments can be made to the White Balance to balance color clipping. Sometimes you can check both the RGB and the Luminosity histogram to make sure no highlights are being clipped. Another exposure setting tip: Cloud cover will give you less light, and because you're photographing landscapes, you won't want to sacrifice depth of field by opening up the aperture, so push the ISO to keep your desired depth of field. 7. 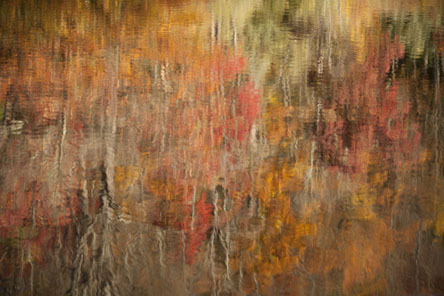 Create abstracts: This season is a great time for making impressionistic motion-blurred images. Although wind often creates problems when photographing autumn foliage, you can use it to your advantage. So if it starts to blow too hard for sharp shots, switch gears and go for motion blur. 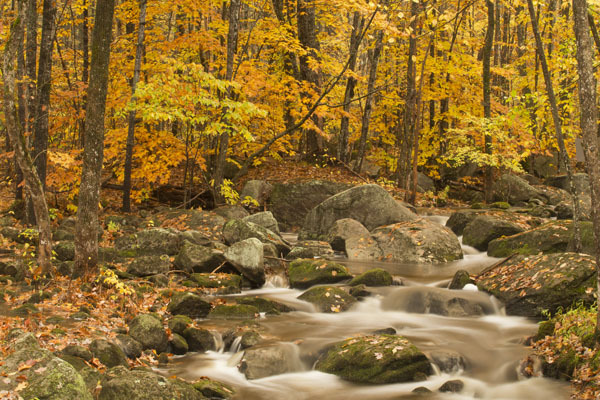 Look to take photos of wind-blown foliage using long exposures of 1/2 sec or more. Such images usually work best if some portion of the scene remains stationary, such as a solid tree trunk surrounded by wind-blown autumn foliage. 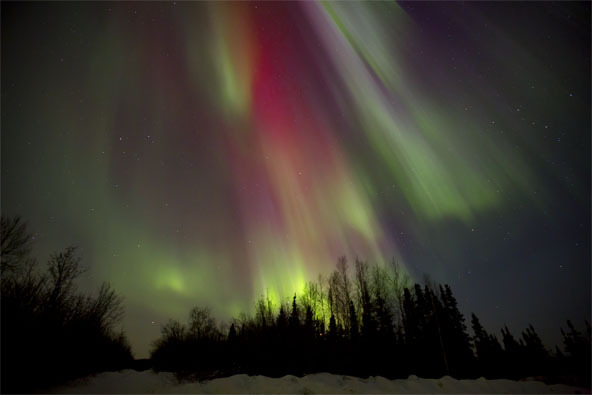 Use a tripod to ensure that stationary objects are rendered sharp in your photo during the long exposure. No wind? Try creating your own motion blur by moving the camera during a long exposure to create interesting abstract blurs,. This technique works well when photographing forest scenes with lots of color. About 1/2 sec to 2 sec of exposure time usually works best with this technique. Panning and zooming are also good techniques for creating abstracts. Another very interesting abstract technique is to create an in-camera multiple exposure. Numerous of the new camera bodies have a function in the Menu to allow for multiple exposures. Set the metering to Average, which automatically adjusts the exposure in any overlapping areas to prevent overexposure based on the number of exposures that are combined. After a bit of testing, I have found that a six-image exposure seems to produce a very interesting effect. 8. Leading lines: Leading lines can be beneficial as they guide the viewer into and through the image. The idea is to lead the viewer’s eye in from the bottom of the image towards the center or top corner, intersecting with the lower horizontal ‘thirds’ line at its entry point to the frame. A wall or fence is ideal for this purpose, though a path, river or even a line of trees can provide the same effect. 9. 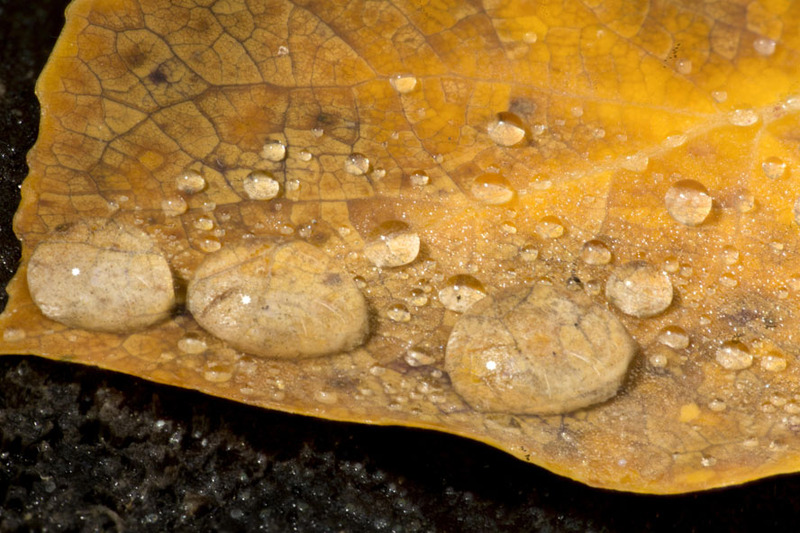 Get close: Macro fall color photographs can have a lot of impact and add diversity to your shoot. 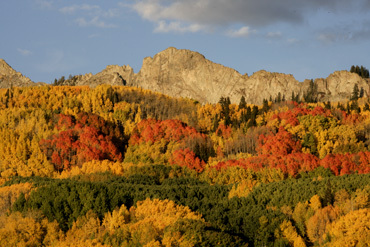 Most fall image portfolios include grand vistas or isolate stands of trees. Don’t overlook the single leaf that’s in prime condition. How about a bunch of scattered fallen leaves on the forest floor? Look for ground cover that exudes autumn. Find a leaf that has eroded into just its veins and get in super close to find patterns, shapes and textures. These images can be made in the middle of the day when the optimum light for an overall scenic has passed. In other words, you can make great autumn images as long as there’s light. 10. 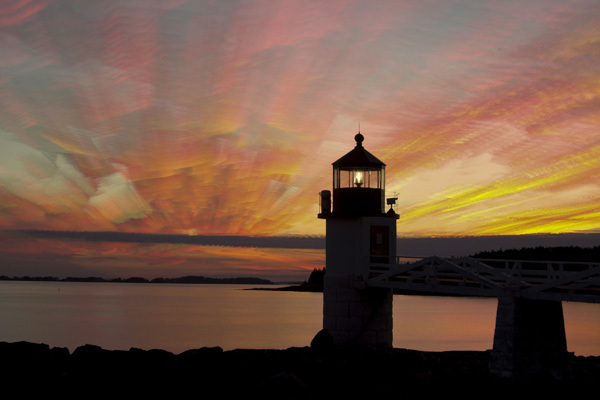 Panoramas or crops: Some scenes call for a long, narrow photograph. Shooting a series of panorama images and stitching them together in post processing can do this or cropping the image after it has been taken. A crop can be pre-visualized before taking the image if you see a scene when the top and bottom can be taken away and the image stand along without these sections. 11. Intimate Landscapes: Some of my favorite images of fall colors are the close-in shots of a small area. A tight view of a cabin with some color behind it, a tree-lined stream, or a group of tree trunks with some nice color behind them. It's very easy to create an image where the viewer knows immediately what the main subject is and their eye goes right to where you want to lead them in and through the photo. The intimate shots quite often have the most impact. Try to remember the saying "less is more." The intimate landscape is an image of a subject between the grand vista and the macro view. The lighting is usually flat from cloud cover or open shade, and great magic hour illumination wasn't part of the equation. Instead, relied on pattern, texture, color, reflections and tight, immaculate compositions. The horizon and sky are often missing, and many of are wonderfully abstract. This is a style that can be the entire focus of concentration on a shoot but a creative eye must be developed in order to come away with images that others want to either have hanging on their walls or come back to and see over and over again. Intimate landscapes allow for fine details to be brought out along with just somme of the components of an otherwise larger scene. One of the most appealing aspects of intimate landscape work is that subjects are more easily found, seldom identical (as most iconic grand landscapes are), and reflect a more personal vision.